The main structure of the building dates back to 1406. The then beadle of Battle Abbey, Richard Curteys, was given a grant by the Abbot of Battle of a parcel of land to build a house for himself, partly on the site of the old house that was there and partly on his newly acquired land. The house that was constructed was a “wealden” hall house with an open hall and a two storyed bay at either end, which house the parlour and the services for the chambers above. The date of the stone walled cellar is not certain although such cellars would usually be located beneath the parlour. Each of the two rear ranges housed a single room on each storey. 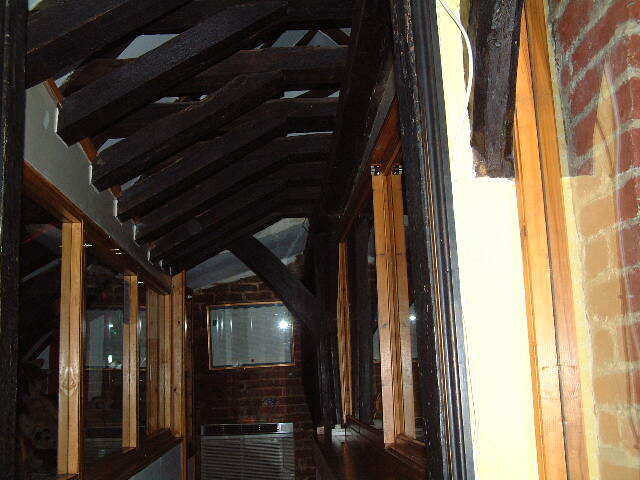 Both doorways giving access between the front and rear first floor chambers survive though are now blocked. The chambers throughout were originally open to the roof. First floor doorways survive in the north wall of the main range between the front and rear chambers, that within the eastern bay being located so as to suit the position of the former stairs. Both openings are now blocked but retain their plain elliptically-arched heads. A heavy mortice in the side of one of the exposed joists marks the former position of the stairs within the eastern bay. No details are know regarding the position of the stairs within the western bay. 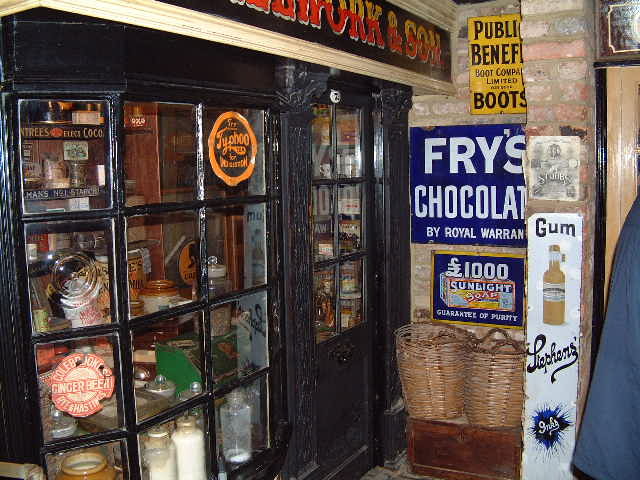 Before Annette and Brian Buckley bought 89 High Street in 1986 to turn it into Buckleys Museum of Shops, it was owned by Margaret Tyson. The main bedroom (now chemist display) was locked and unused and when pressed for a reason, Margaret said it was because she had seen the ghost of a monk there. She had been woken at about 2'o'clock in the morning by an icy cold presence to see a figure trying to pull her husband out of bed by his legs. In 1986 builders reported feeling uncomfortable when working in the room and complained that they felt that someone was watching them all the time. They were doing work to display the contents of a chemist shop that had originally owned by a Mr.Turner in Hurst Green. By strange coincidence when they tool down the old fireplace they found a letter addressed to another Mr.Turner dating back to the 1800's when the building was a grammar academy. It was from a mother of a child who boarding at the grammar school wrote to the schoolmaster to complain that her boy “did not seem to be getting enough hot beverages at bedtime” and “his clothes could be a little cleaner”. 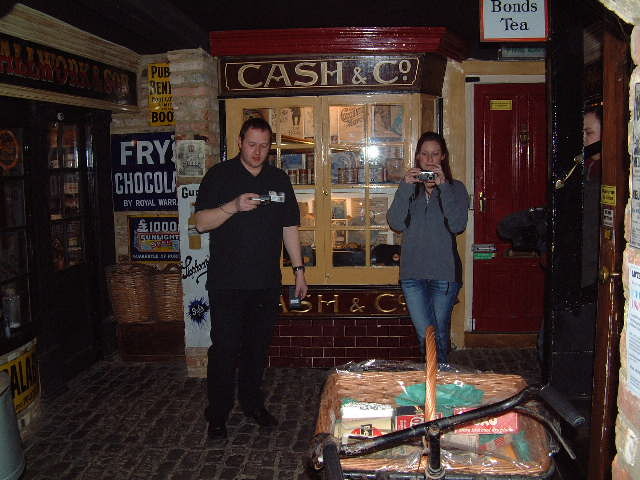 The chemist shop was the last display to be completed. On the day of the opening they were still waiting for delivery of the new glass gold-etched sign bearing the name “AJ Turner’s Chemist Shop”, which had been plagued with many delays. When they went to erect it, the sign mysteriously cracked in two. 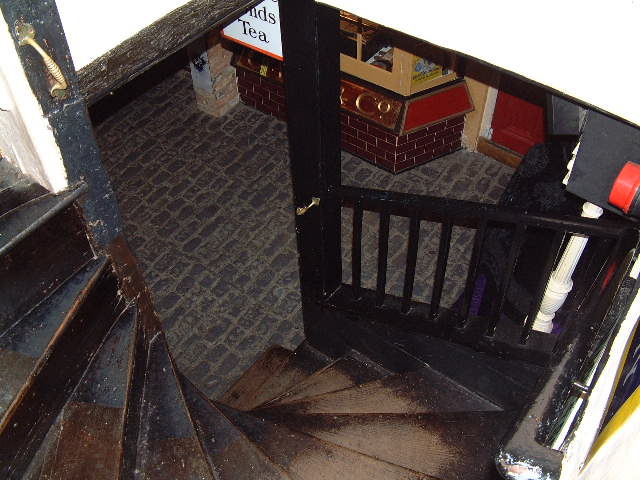 A lady in a long dress has been sited by a visitor on the stairs. Several staff claim to have heard footsteps overhead on the floorboards when the museum has been empty. Previous Investigations: To our knowledge there have been no previous investigations at this site. Camcorders were used to film vigils throughout the evening. Two teams were selected to investigate separate areas of the building. A guest joined each team. Quiet vigils were held throughout the evening in selected areas of the building, with breaks and change overs. Paired vigils were also held during the evening. Kim - Batteries fail on walk round, new at start. Several noises heard in the attic. Ian – Knocking noises heard in attic. Ian hears a short intake of breath and suddenly feels very cold. A small light is seen shinning through the small window above the bed in the attic. This light was witnessed by Dave. Sarah – Loud thud heard in the sweet shop at the beginning of the evening. Whilst on a vigil near the chemist area, Sarah asked for communication and felt a prod in her back! 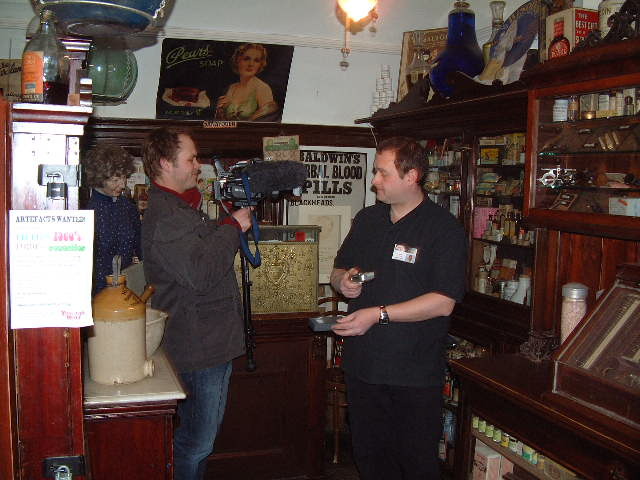 Rick – Noises noted in the chemist, “clicks, taps and bangs”. Rick sees a woman by the Ironmongers. 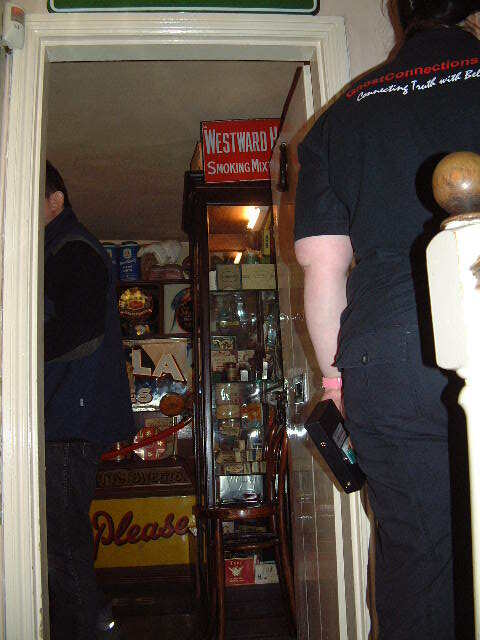 Dave – Knocking noises heard in attic area, small light anomaly seen by pram. Dave received several pieces of information through spirit communication, this is excluded from our report and held on our database for cross reference. Whilst on a break the whole team gather in the shop area. Three loud thuds are heard from above not unlike a heavy footfall. 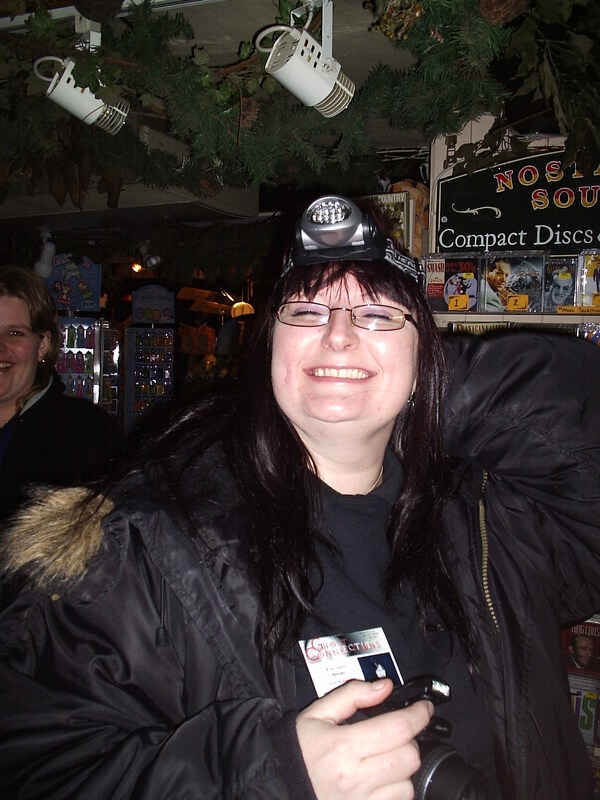 Dave:ccccccccccccccStrange noises detected whilst on vigil with Rick, further investigation required. 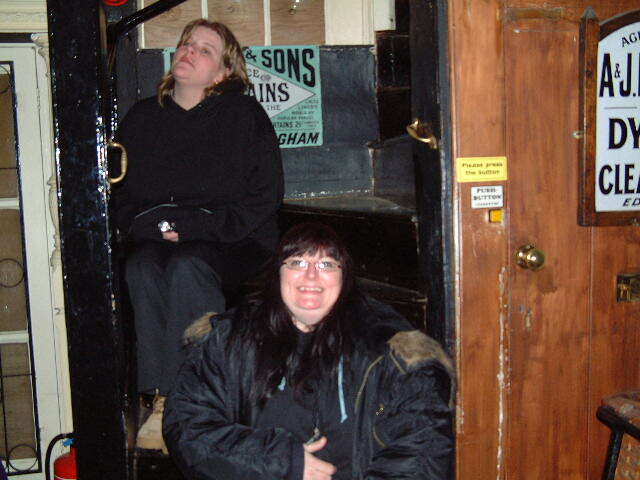 No paranormal evidence was captured photographically. The noises heard throughout the evening were investigated by the team and the source was found to be the central heating boiler. Other noises heard can be in relation to the natural movement of the building. The loud thuds over head whilst in the shop area remain a mystery. Some members of the team did investigate the area above the shop and tried to reproduce the thuds, however they were unable to reproduce them in the same area they were heard. The area the thuds came from has no access! Noises captured on Dave's camcorder are unexplainable and further investigation in the “throne room” area is required. Ghost Connections would like the thank Yesterday's World for allowing them to undertake this investigation. 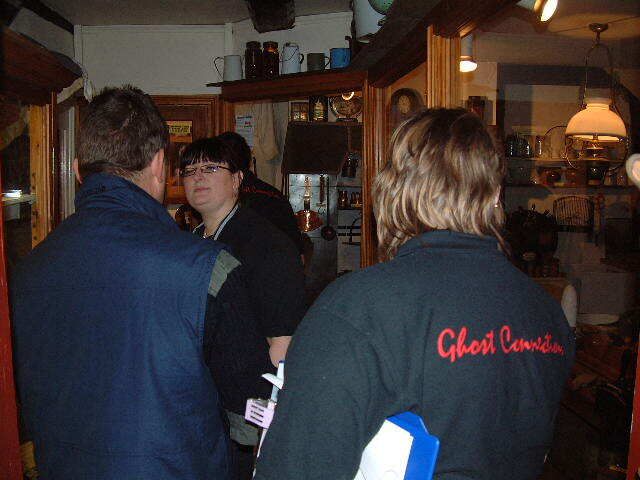 Lindsay and Tom who accompanied the team on the investigation. 1 Information supplied by Yesterdays World.